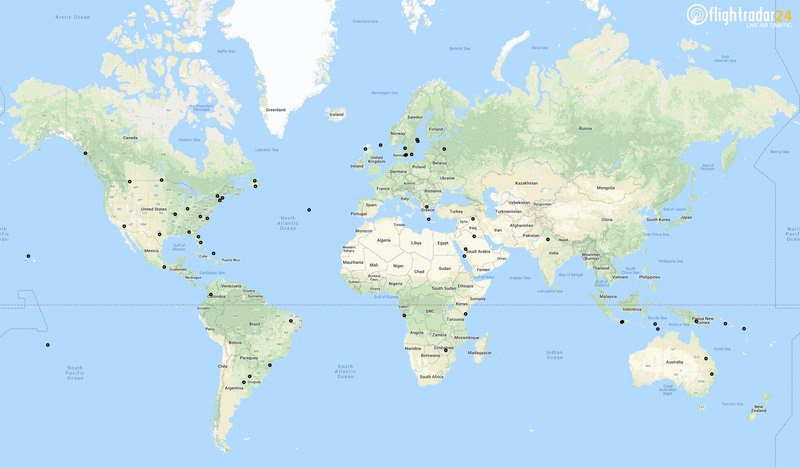 In September, we tracked 5.5 million flights thanks to our newly activated receivers and the over 20,000 receivers already connected to the Flightradar24 network. This month, our new receiver activations focused on areas where we could substantially improve our ADS-B or MLAT coverage. Each month we send out complete receiver kits that include an ADS-B receiver, antennas, and all necessary cabling to qualified hosts. You can apply to host one of our receivers or easily build your own. Here’s the full map of all receivers activated during September (click to expand). 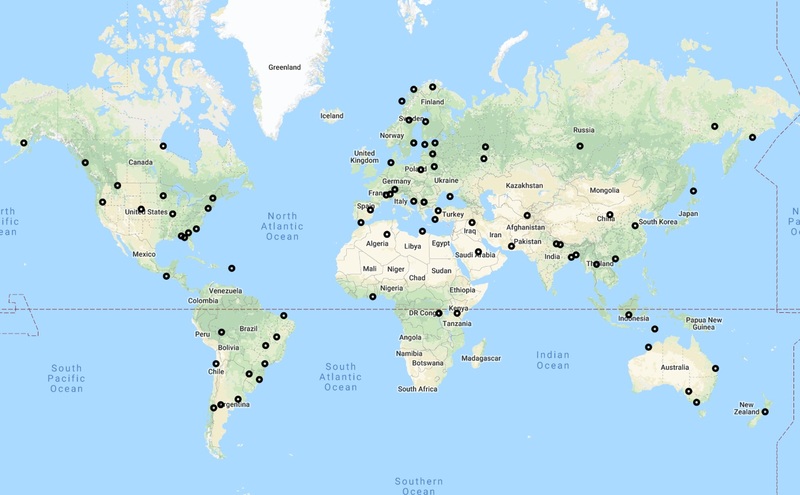 In March, we activated over 100 new Flightradar24-supplied ADS-B receivers and hundreds more home-built receivers joined the Flightradar24 network. 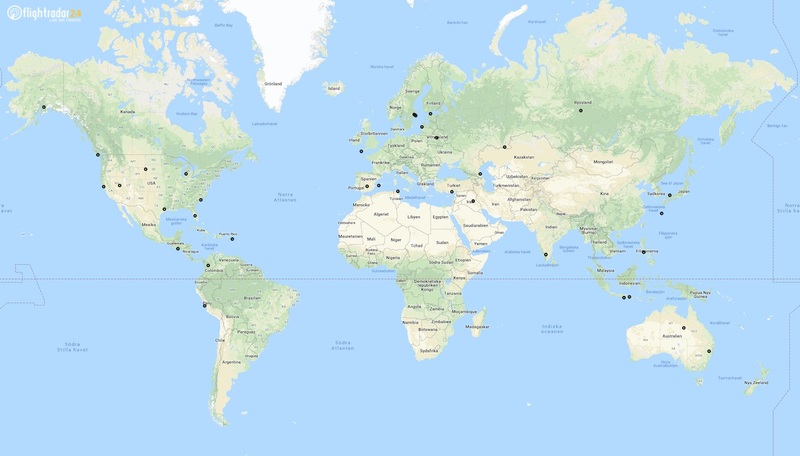 Thanks to these new receivers and tens of thousands of others around the world, we tracked 4.8 million flights in March. In March, we activated another 7 receivers in Brazil, after activating that many last month as well. Multiple receivers in Russia, Australia, and Japan are also supplying great coverage. A handful of receivers activated in Kazakhstan, Uzbekistan, and Afghanistan are expanding our coverage area in that region. In Africa, we activated receivers in Namibia, South African, Nigeria, Gambia, and Central African Republic. We also activated an additional receiver on Bear Island in the western Barents Sea. Here’s the full map of all receivers activated during March (click to expand). In February, we activated over 100 new Flightradar24-supplied ADS-B receivers and hundreds more home-built receivers joined the Flightradar24 network. Thanks to these new receivers and tens of thousands of others around the world, we tracked 4.4 million flights in February. In February we activated 7 receivers in Brazil, 4 in Australia, 3 in Nepal, and singular receivers in important locations providing additional coverage in Iraq, Canada, the Central African Republic, Kenya, Russia, Libya, Argentina, and Indonesia. In the US we activated multiple receivers in the southeast, improving MLAT coverage in an important part of the country. Here’s the full map of all receivers activated during February (click to expand). 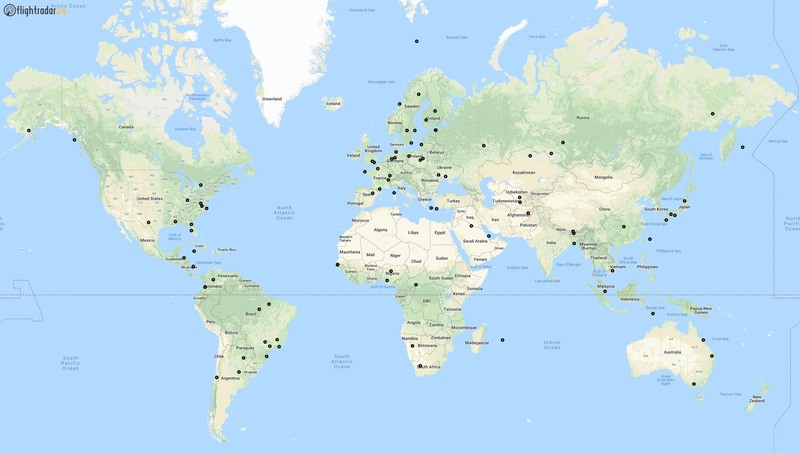 New Flightradar24-supplied ADS-B receivers activated in February 2018.